Innocent K. Agbelie and Simon Bawakyillenuo from the University of Ghana ISSER write on the Ghanaian government’s gas policy and renewables development. This article was originally posted at urbanafrica.com. 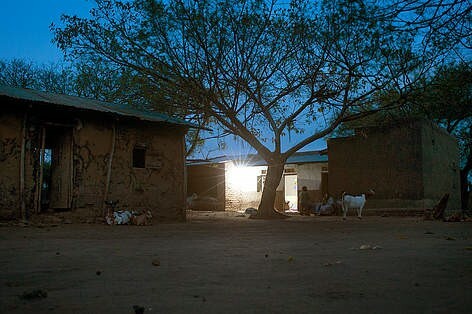 From 2012 to the beginning of 2016, the Government of Ghana has been stretched to the limit due to the existing power supply infrastructure’s inability to provide constant and reliable electricity for domestic and industrial activities. This has resulted in the acute electricity supply load shedding known as ‘Dumsor’. 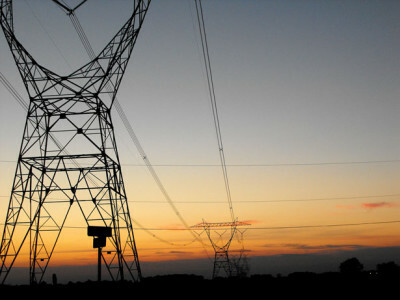 Ghana’s electricity supply market currently has an estimated 10 to 15 percent year-on-year demand growth rate, underpinned by increasing domestic and industrial demand. Prominent among the actions taken by government to placate highly agitated power consumers is the expansion of thermal plant facilities, which are powered by gas imported from Nigeria and also from the Atuabo Gas plant in Jomoro District in the Western Region of Ghana. Since 2000 the share of thermal plants in the total national installed capacity has been on the rise, contrary to the country’s avowed green economic development pathway. This share (computed from the difference between the total national installed capacity and total hydropower installed capacity as reported by the Energy Commission,2014 and 2015) went up from 16.8% in 2000 to 31.8% and 44.1% in 2005 and 2014 respectively. In contrast, the total installed new renewables’ capacity is a woeful 0.1% of the national total power installed capacity in 2014, while the share of hydro-power installed capacity declined from 83.2% in 2000 to 55.8% in 2014. The increasing share of thermal power generation sources will increase Ghana’s carbon emissions, accelerating climate change and the associated extreme events. These and many other questions should prompt a rethink in the nation’s quest to become self-sufficient in not just energy, but clean and sustainable energy in the next decade. Ghana’s 2010 National Energy Policy sets a target of 10% of total energy production from renewable energy sources by 2020. This will require an installed renewable energy generation capacity of 450MW. Although the target is backed by the Renewable Energy Act 2011 it is highly unachievable since the present total installedrenewable energy capacity as of 2014 is 2.5 MW representing 0.1% of the total national installed generation capacity. Taking into account government’s pronouncement of increasing thermal share to 80% in ten years’ time, the future of the already unachievable renewable energy target is even more questionable. The thermally oriented energy mix projections into the future calls into question the sustainable development and green economy agenda of the country, given that Ghana is signatory to many international conventions and protocols that incorporate sustainability issues. According to estimates by Ghana’s Environmental Protection Agency, the country’s annual greenhouse gas emissions have been on the rise, growing from 10 Mt CO2e in 1991 to 34 Mt CO2e in 2012. The bulk contributors to these emissions are the Energy, Agriculture, Forestry and Other Land Use (AFOLU) sectors. The country’s Third National Communication Report to the UNFCCC highlights that Ghana’s emission rate has grown significantly over the past two decades and contributes 33.66 Mt CO2e to global GHG emissions. With a projection of thermal plants making up 80% of the energy mix in the next 10 years, Ghana’s emissions are bound to increase significantly in direct contrast to the Policy Programme area of minimizing GHG emissions as outlined in the 2013 Ghana National Climate Change Policy. Cheap-fuel thermal plants appear rather costly to the national and global environment in the medium to long-term. A more sustainable approach is required through commitment to policy strategies coupled with political will on the part of leaders, to take bold decisions in order to drive the renewable energy agenda just like they are doing on the thermal agenda. The fact is, the formulation of policies by policy makers are inadequate for a sustainable energy transition if practical actions are not taken to implement them. Civil society groups, research and advocacy organisations also need to put pressure on government so that it accomplishes its pronounced targets for renewable energy generation. This entry was posted in ISSER - University of Ghana and tagged Carbon Emissions, Climate Change, Climate Policy, Emissions, Energy Mix, Gas, Ghana, Hydropower, ISSER, LPG, Natural Gas, Renewable energy, Renewable Energy Sources, Renewable Energy Targets, SAMSET, Sustainability, Sustainable Development, Sustainable Urban Development, Thermal Energy, Thermal Power Generation, Thermal Power Plants on May 9, 2016 by danielkerrucl. Johnathan Silver from Durham University highlights the flaws and limitations of current carbon financing mechanisms, and the pressure they put on an African continent at the forefront of climate change. Even though sub-Saharan Africa has contributed little to historic Green House Gas emissions, a burgeoning body of research is pointing out that the continent is on the frontline of climate change dynamics and as a result facing multiple infrastructural pressures across an urbanising region. It is an issue that is of concern to African leaders with the Vice-President of Tanzania, Mohamed Gharib Bilal expressing reservations at the recent ICLEI Local Climate Solutions conference in Dar es Salaam. In the opening session of the conference, he argued that the global response to climate change must be fair, reflecting common but differentiated responsibilities that would put the emphasis on industrialised countries to finance a low carbon urban future and support the separation of growth from carbon and wider resource intensity in African cities. Yet these commonly held views on the continent and beyond seem to be having little effect on the slow, painful process of financing low carbon infrastructures and a green economy in Africa. This climate change driven, energy, resource and development crisis is not some imagined future but rather taking place in the here and now. Reflecting on these relationships between climate change, low carbon imperatives and infrastructure geographies from across urban Africa generates a critical question: Where is the financing coming from to transform energy systems that respond to low carbon and developmental objectives and fund the plethora of strategies and plans proposed over the last decade? The prognosis is not an optimistic one. The failure of historic polluters to offer the necessary finance, technology transfer and solidarity highlighted by the Tanzanian Vice President as crucial to a low carbon, resource efficient urban future is achingly visible. The options out there now for African cities limited, full of contradictions and characterised by the dominance of carbon markets. Speakers at the ICLEI conference sought to help city policy makers navigate the Byzantine nature of market-based carbon financing, used (rare) case studies of success stories for the Clean Development Mechanism (CDM) and sought to draw some hope from a thoroughly discredited financing system. Yet these voices seem to be a minority as a growing consensus rejects the market rationalities embedded in carbon financing with a coalition of activists, academics and policy makers highlighting what seems like an endless number of problems with financing mechanisms such as the CDM. These critiques of carbon financing cover a series of issues from the privatisation of the air and the atmospheric commons through to the non-linearity of climate change. The almost perverse notion that polluters are being rewarded under these market conditions, together with widespread examples of fraudulent behavior seems to reflect the wider flawed logic of relying on the market and corporations to address socio-environmental conditions. Work by researchers in cities such as Durban show that cities with carbon market-financed projects are often positioned around mega-sized waste to energy technologies that are having devastating social and ecological consequences for local communities. Price fluctuations, speculative behaviours and the post-2008 crash of the carbon price have illustrated that these mechanisms are even failing on their own (market) logics and terms, reflecting the wider contradictions of global financial markets, derivatives and such like. Beyond these extensive general critiques there are some very real distribution inequalities to the current financing across carbon markets that suggest even if these wider flaws didn’t exist then this form of financing would marginalise African cities in these global flows of infrastructure investment. 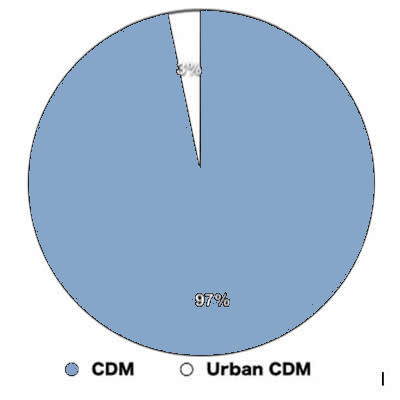 Taking the CDM as an example we can see that the vast majority of financing has both a regional and a non-urban bias that leaves urban Africa on the margins. So while African cities have been promised the fruits of the carbon markets in reality such projects make a tiny and insignificant part of infrastructure investment through the CDM. There are various discourses emerging from organisations such as the Cities Alliance and the World Bank that seek to ‘get cities prepared to attract carbon finance’ yet previous experience would suggest that such preparations are likely to include energy sector liberalisation, policy reform and cause future difficulties for African cities to address climate change, poverty and other imperatives. These series of problems, flawed logics and failures characterising carbon financing are not going to address the energy, climate change and development challenges facing urban Africa. So where does this critique of carbon markets and current financing landscapes leave cities in terms of financing low carbon, resource efficient urban futures? As the Vice President of Tanzania made clear in his speech, industrial countries must pay and there must be an equitable and fair way to finance the transformation of infrastructure across urban Africa. This is financing based on the idea of climate debt, of paying for the historical pollution of the atmosphere and offering an alternative to the failed logics of markets in addressing these global inequalities that continue to characterise relationships between the continent and the North. The need for municipalities across urban Africa to instigate significant investment programs becomes ever more important to address climate change, low carbon imperatives and the multiple development challenges facing these spaces of poverty and inequality. Yet, as the ICLEI conference illustrated again, there seems little in the way of alternatives to the limited, compromised and hopelessly flawed carbon financing mechanisms as countries of the North fail to undertake their historic responsibilities. It is time to pay the climate debt and support African cities to undertake different trajectories from the resource intense urban systems of the North. Many of these cities have yet to construct the required infrastructure systems needed over the next century, providing a limited window of opportunity to build a low carbon, resource efficient and fair urban future. The time for the global North to finance these transformations is now. This blog is also available on the London School of Economics website and the Situated Urban Political Ecologies platform. This entry was posted in University of Durham and tagged Africa, Carbon Finance, Carbon Market, Carbon Price, CDM, Clean Development Mechanism, Climate Change, Durban, Emissions, Financing, Green Economy, Greenhouse Gas, Investment, Low Carbon Infrastructure, Privatisation, Sub-Saharan Africa, Tanzania on October 31, 2014 by danielkerrucl.